1. Disney Playhouse offers loads of great printables. Pictures that your child can colour in include characters from My Friends Tigger & Pooh, Handy Manny, Little Einsteins and Johnny & The Sprites. Great quality images that are super cute. 2. Nick Jr is another of my absolute favourites for kids. 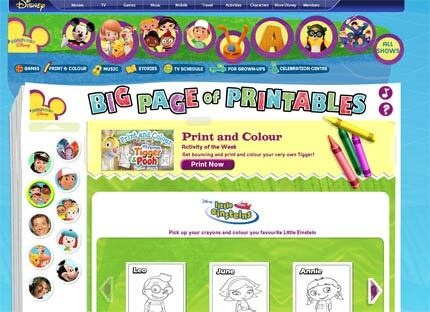 This website is huge and offers a whooping 211 print and colour pages! Characters include those from shows Dora the Explorer, Go Diego Go, Olivia, Yo Gabba Gabba and Blue's Clues. I like how the activities can also be searched by age group so you can find age appropriate stuff quickly. 3. 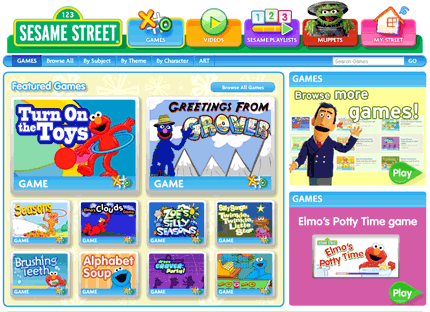 Sesame Street has some great games and also holiday related downloads, such as print and colour cards for Christmas. 4. Littlies has an excellent craft section. I recommend the Animal Masks, younger kids will love the Driving Car and if you have older children then the Sock and Glove toys look like a lot of fun. There are also plenty of kids recipes on this website too. 5. 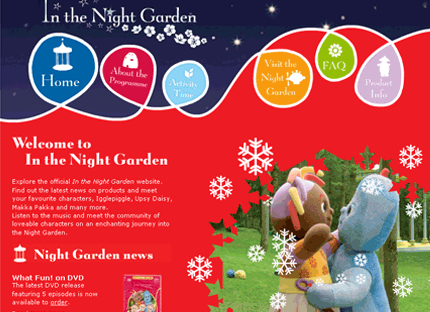 In the Night Garden is extremely popular with the preschoolers. 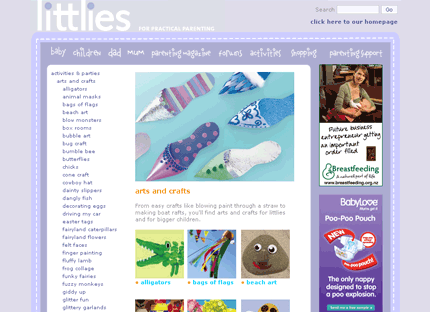 Check out their website for fun activities for your young ones. 6. 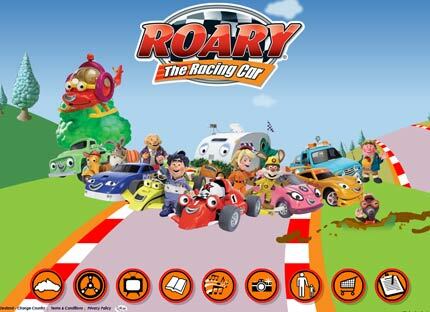 Roary the Racing Car has a fantastic website and super cute colouring pictures. 7. Crayola website is fun! 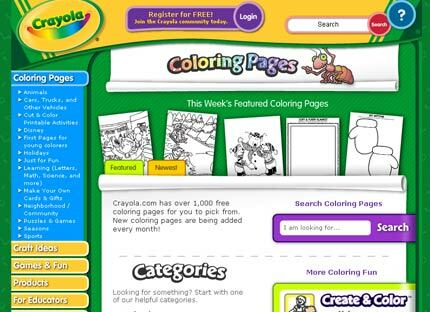 It offers colouring pages, activities, and crafts. Also check out the Crayola Digi-Color which is a really fun online drawing page where kids can pick crayons, paint, markers and loads of colours to create their masterpieces. 8. Kids Pages offer you printable colouring pages, a printable alphabet, funny riddles, online stories accompanied by beautiful illustrations, illustrated animal rhymes and jigsaw puzzles. This website will appeal to parents keen to get away from all the big branded websites. 9. 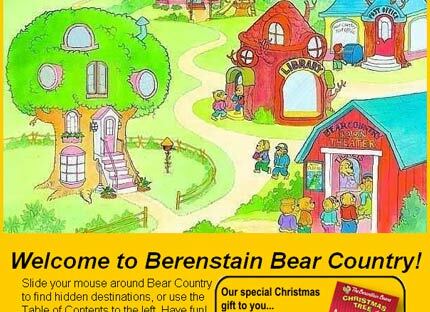 Berenstain Bears website has colouring pictures and plenty of activities. 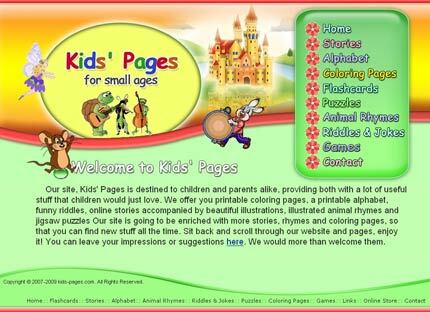 This website will be a hit with the kids that have the best selling children books featuring the Berenstain Bears. 10. If you have boys you'll know how popular Thomas the Tank Engine is. 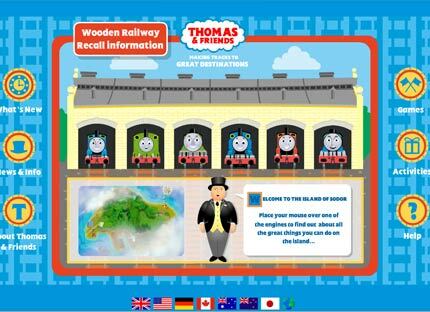 Check out the link below for some Thomas and Friends activities including a few print and colour pages. Thanks. 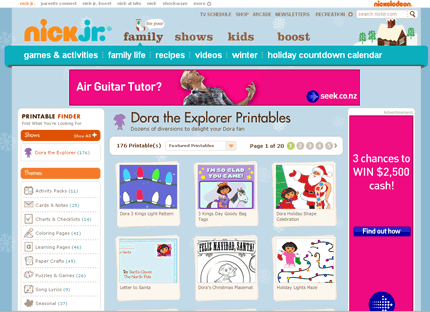 This is a very handy list of kids websites for parents! I'd like to also recommend kideoplayer.com which plays kid safe videos, namely cartoons. If the child doesn't like one cartoon then they simply hit the space bar to jump to the next clip.